About 32 percent of Chicago’s 802 communities were “pharmacy deserts,” meaning their residents met the researchers’ criteria for both low pharmacy access and low income. Independent community pharmacies comprised a 20 percent higher share of the pharmacies serving majority-black communities, compared to the Chicago population as a whole. Between 2000 and 2012, pharmacy disparities worsened. While the number of pharmacies (particularly chains) in majority-white communities increased 20 percent during that time period, there was no such expansion in minority communities. Specifically, they suggested incentivizing more pharmacies to locate in these areas by increasing Medicare and Medicaid reimbursement. They cite a provision in the Affordable Care Act (ACA) boosting payments for primary care providers and suggested expanding this to pharmacies as well. NCPA would go two steps further. Congress should enact an “any willing pharmacy” policy for Medicare drug plans. That would give Medicare patients in these underserved areas greater access to discounted or “preferred” copays for their prescription drugs at their independent community pharmacy. Fortunately, more Medicare drug plans will include locally owned pharmacies in “preferred” networks starting in 2015. That’s encouraging and comes after concerns were expressed by patient advocates, Members of Congress of both political parties and NCPA. But too many independent community pharmacies remain excluded from such arrangements, even if they are willing to meet the drug plan’s contract terms and conditions. 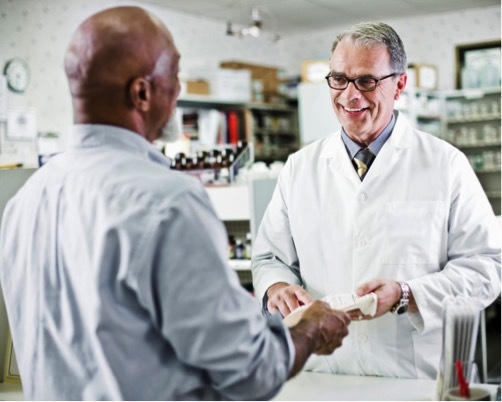 In addition, pharmacists could be better utilized as primary care providers in medically underserved areas such as these, if Congress enacted H.R. 4190. The Patient Access to Pharmacists’ Care Coalition, which includes NCPA, has established a website here with more information on this topic.